Opposition leader Nelson Chamisa has reportedly urged President Emmerson Mnangagwa to "concede defeat" and "stepdown" to "avoid humiliation at the Constitutional Court". Zimbabwe's Constitutional Court is set to hear the opposition's challenge to the just ended presidential election results on August 22. The Movement for Democratic Change (MDC) leader narrowly lost to Mnangagwa but his party alleges "gross mathematical errors". It seeks a fresh election or a declaration of Chamisa as the winner of the July 30 vote, according to AP. A NewsDay report quoted Chamisa as saying that Mnangagwa should do the "most gracious and revolutionary thing" by conceding defeat before being humiliated on Wednesday when the constitutional court sits to hear his petition alleging widespread fraud. 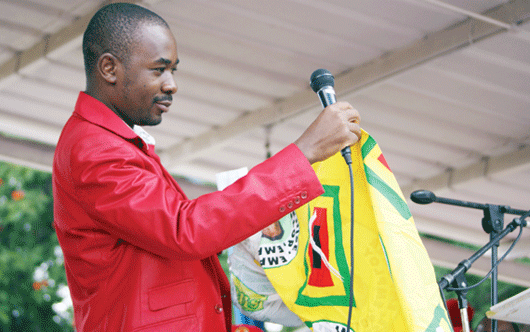 Chamisa described the Zimbabwe Electoral Commission and Mnangagwa's defence's as weak, adding that the president-elect had fraudulently benefitted from the vote count. He also claimed the vote tall did not square up with the voter turnout claimed by the electoral body. Mnangagwa, however, has insisted that he won in a free and fair poll and accused his rival of political grandstanding. Mnangagwa reportedly told the Southern African Development Community (SADC) leaders over the weekend that he was "elected cleanly", according to New Zimbabwe.com. "All political parties were free to campaign in all parts of the country however they saw fit. "This saw an unprecedented number of people freely exercising their democratic right to elect leaders of their choice in the spirit of transparency and openness. "Our elections were held in the full glare of a broader spectrum of international observers and global media," Mnangagwa was quoted as saying.